The Samsung Galaxy Tab S 10.5 is an 10.5-inch Android-based tablet computer produced and marketed by Samsung Electronics. It belongs to the new ultra high-end "S" line of the cross between the Samsung Galaxy Tab and Samsung Galaxy S series, which also includes a 8.4-inch model, the Samsung Galaxy Tab S 8.4. It was announced on 12 June 2014, and was released on July 2014. This is Samsung's first 10.5-inch tablet which is aimed to be a direct competitor against the iPad Air. Samsung Galaxy Tab S 10.5 tablet with an outstanding 2,560 x 1,600 resolution Super AMOLED screen display powered by 1.3GHz processor alongside 3GB RAM and 8-megapixel rear camera. It weighs just 465g, though this is only a few grams less than the iPad Air. It's also thin ¡ª 6.6mm makes it 1mm thinner than the iPad Air. With its 5-inch large screen, high resolution display, light and easy to carry, Galaxy Tab S 10.5 is popular with young, image-conscious movie enthusiasts. If you have a new Galaxy Tab S 10.5 and want to play your iTunes movies or TV shows on it, above all you should convert them to the format compatible with Galaxy Tab S 10.5. Why? On one hand, your movies or TV shows purchased from iTunes Store are protected by Apple's FairPlay DRM system. On the other hand, Galaxy Tab S 10.5 supports video formats include H.263, H.264(AVC), MPEG4, VC-1, WMV7, WMV8, VP8. There is no iTunes videos format .M4V. In this way, to play iTunes videos on Galaxy Tab S 10.5, you need to remove DRM firstly and convert iTunes M4V files to Galaxy Tab S 10.5 support. How to remove DRM from iTunes protected M4V movies / TV shows and convert for playback on Galaxy Tab S 10.5? Here you can use M4V Converter Plus for Win. It is a professional yet easy-to-use DRM removal software and M4V Converter. 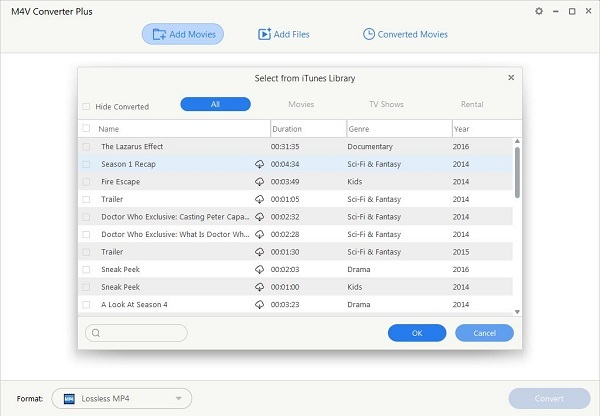 With it, you can get rid of DRM and convert any iTunes movies to all popular formats legally and easily. Now free download and install the latest version of iTunes to Galaxy Tab S 10.5 converter, then you can follow the steps below to convert iTunes protected M4V videos for playback on Samsung Galaxy Tab S 10.5 at will. 1. Launch the iTunes to Galaxy Tab S 10.5 converter for Win. 2. 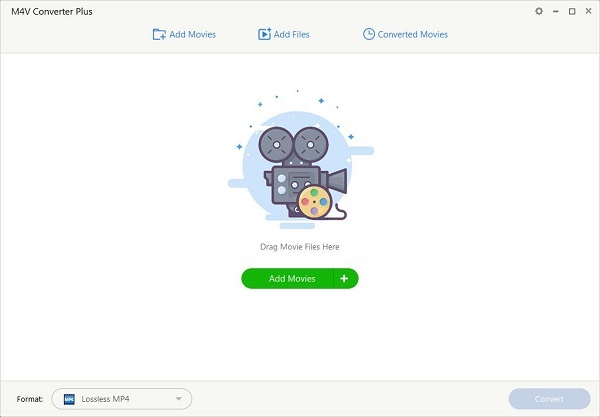 Click Add Movies to import the iTunes video files you want to convert to the main window. 3. 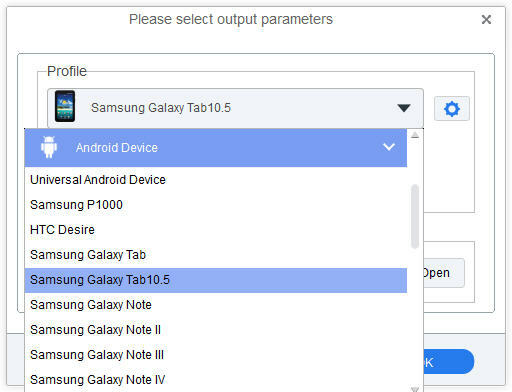 Go to drop-menu of Profile and choose Galaxy Tab S 10.5 as output file format. 4. Hit button Profile blue box to start iTunes videos conversion and play them on Samsung Tab 10.5.